Are you ready for a new, updated look in your kitchen? Do you want to transform your space on a minimal budget? Changing the color of your kitchen cabinets is one of the best values in kitchen remodels: You won’t spend very much but it will have a huge impact. Now you just need to decide which kitchen cabinet color you want. Before you choose, you will want to take a look at what is currently in your kitchen. What color are your countertops and appliances? Can you see the living area from your kitchen? If so, you need to keep that color scheme in mind. On top of that, you want to make sure you choose a color that is timeless, so when you go to sell your house you won’t have to change them again. Yes, it’s a lot to think about. And with literally hundreds of color options available, it can be daunting. Instead, take a look at the top kitchen cabinet color trends of 2018. With only five options to pick between, your decision will be a lot easier. Cherry cabinets are considered somewhat of a classic. The color continues to remain popular year after year, and it’s probably due to its versatility and depth. The reddish hues found within the wood complement both light and dark countertops, the shade isn’t too dark for small spaces, and it looks incredible with stone backsplash. White cabinets are the most popular cabinet option today, and it’s no surprise why. White adds a sense of airiness to both large and small kitchens, and it can work well in both contemporary and traditional settings. Pair it with white countertops for a lavish feel or use natural wood accents for a cozier look. While oak is out of style, warmer-hued woods, such as maple, are still very much in style. The soothing tones help make a space feel inviting, and the cabinet color works well with most countertop options. They will even go great in a modern style kitchen. As long as you have cabinetry with clean lines and few details, wood cabinets make a great statement within the modern style. Darker-hued wood cabinets are a draw because they look amazing with stainless steel appliances and hardware, and they create the luxurious feel that many homeowners desire. The only caveat with this cabinet color is that it can make a space feel smaller, so you may only want to select this option if you have an open floor plan. Somewhere between the airiness of white and the drama of dark wood rests grey kitchen cabinets. The color is unique, for sure, but it is quickly rising on the charts of cabinet color trends. Depending on the shade chosen, grey cabinets can bring the “wow” factor to both modern and traditional kitchens. They work perfect for a coastal vibe when paired with butcher block countertops, yet they are also super chic with white countertops and stainless-steel hardware. 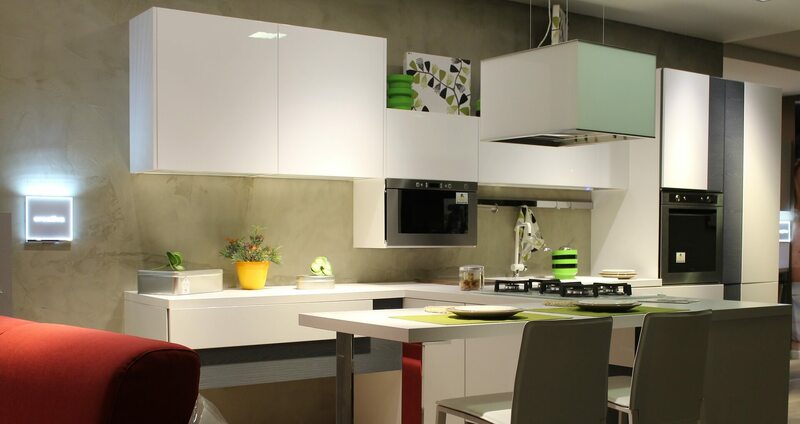 When you want to transform your kitchen without spending a fortune, changing the kitchen cabinet color is the best option. By looking at the current trends and comparing them with your personal design style, you will soon have an updated kitchen you can’t wait to come home to.